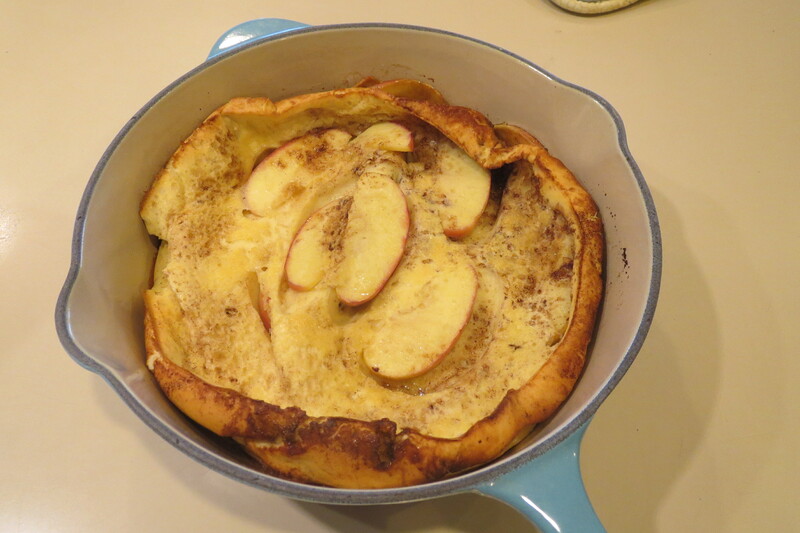 There is something about a dutch baby that gets me every time. They puff up beautifully and still taste amazing when they deflate out of the oven. 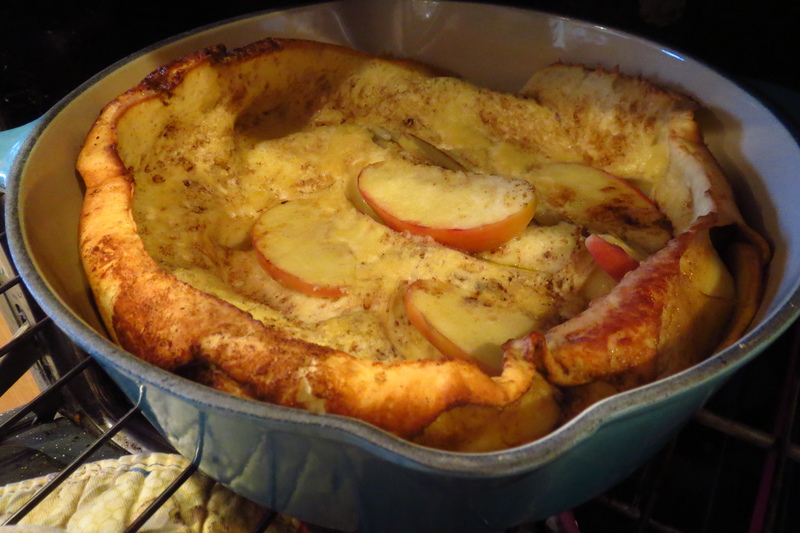 And most dutch baby recipes taste wonderful with just a drizzle of lemon juice and powdered sugar. That really means something when you love syrup and waffles as much as I do. 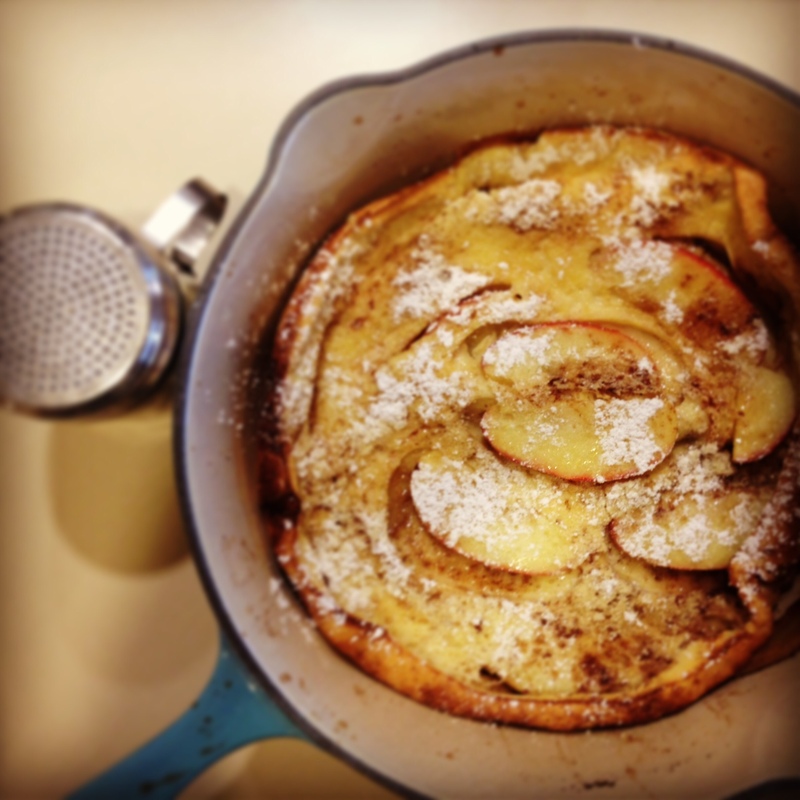 The best part about this recipe is the apples and sugar get nice and caramelized on the bottom of the pan before you pour the batter in. It was an unexpected surprise in my first bite. 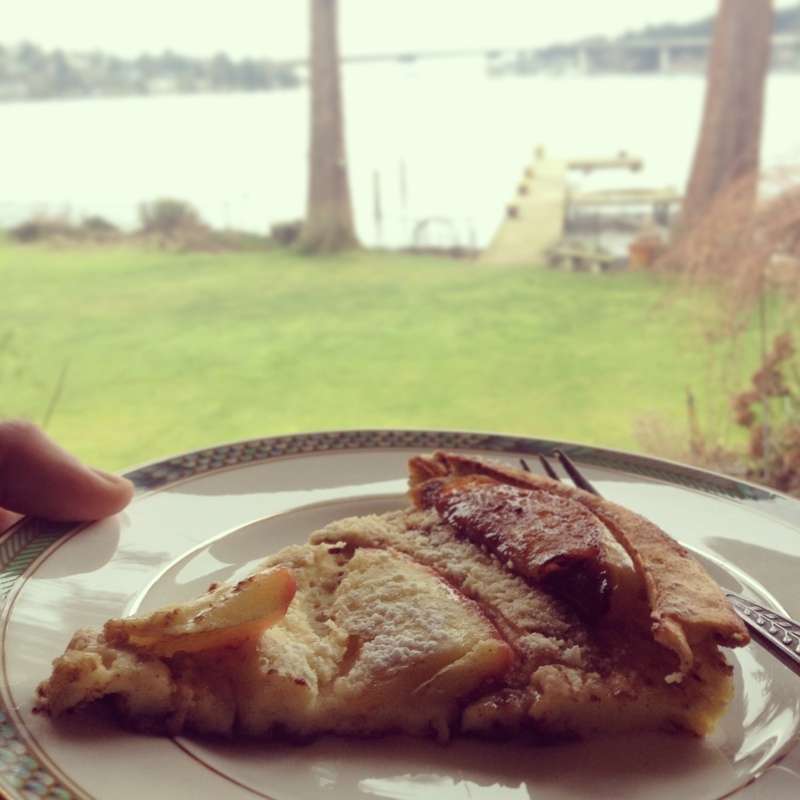 Dutch Baby with a view. Preheat oven to 425°. Melt butter in a 12-in. ovenproof frying pan over high heat. Add brown sugar and cinnamon, swirling to combine. Add apple and cook until just starting to soften, about 3 minutes. Meanwhile, in a blender, whirl together eggs, salt, flour, and milk. Pour egg mixture into pan and bake until puffed and brown, about 15 minutes. Sprinkle with lemon juice and powdered sugar.